Many companies have a “login” for their companies’ Facebook page – or so they think. This is not how Facebook approaches business logins. Facebook business pages DO NOT have logins. 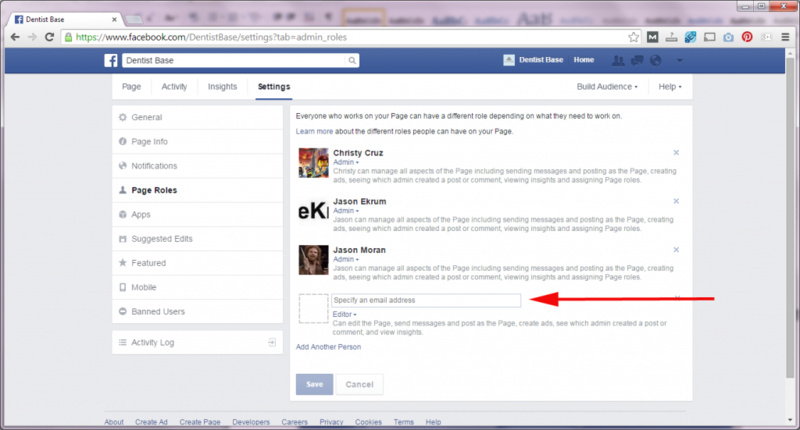 In fact, a normal user (a personal account) must be used to create and maintain a Facebook business page. Surprisingly, some businesses do not realize that their Facebook page is not a business page at all and is in fact a personal page. Facebook does not allow businesses to have personal user pages as it is against their terms and conditions. There are many benefits to a business to have a true business page – but that’s another article. The important part for this article is that your business page is, in fact, a business page. Assuming you indeed have a business page, you have to access it by logging into a personal Facebook account. Personal accounts require a real, verified email address. 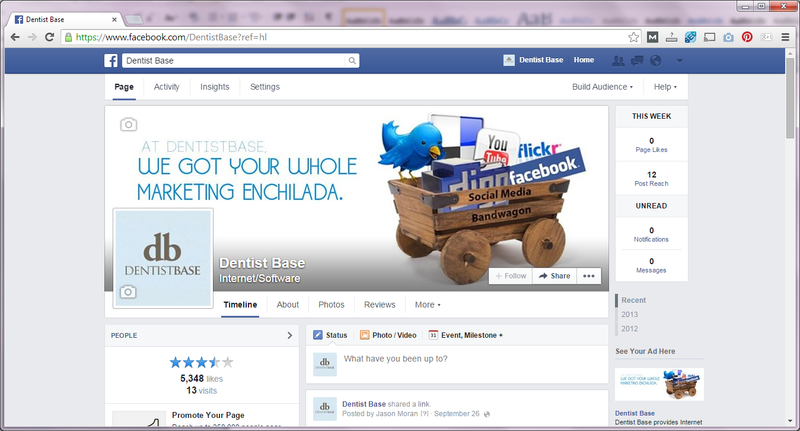 Some businesses create an email and personal login to use for Facebook which they then use to create a business page. This is flawed because the user information is usually shared and if one person leaves the company, you need to change login credentials on both the Facebook account and the email account used to set it up (because the email account can be used if the password is forgotten). If the information is not shared, and only one person has access – what happens if that person leaves the company or “gets hit by the bus”. For these reasons, it is important to have anyone working on the Facebook business page added as a user, using their personal Facebook account. First login to your personal Facebook account. In the top right hand corner there is a down arrow. 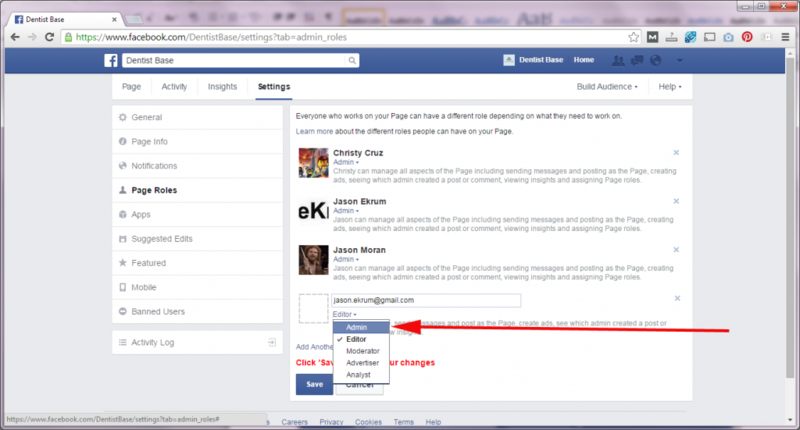 Click on that and you can switch from using Facebook as yourself to using it as the business. In the example below, there are several businesses the personal user can switch between. It is important to ensure that the top bar shows the business name – otherwise you could be posting to your personal account, and vice versa. Many time people have accidentally been using Facebook as a business and sharing or liking personal posts which are not appropriate for the business. It is important that whoever uses the Facebook account is aware and is cognizant of who they are using and posting to Facebook as. It is important to know who the administrators, editors and users of your Facebook page are (as well as other social media properties). Often there is employee turnover or security issues and thus it is necessary for you to understand who has access to what on Facebook. After logging and switching over to your business account, click on the “Settings” button. Once on the Settings screen, you will see a menu on the left. 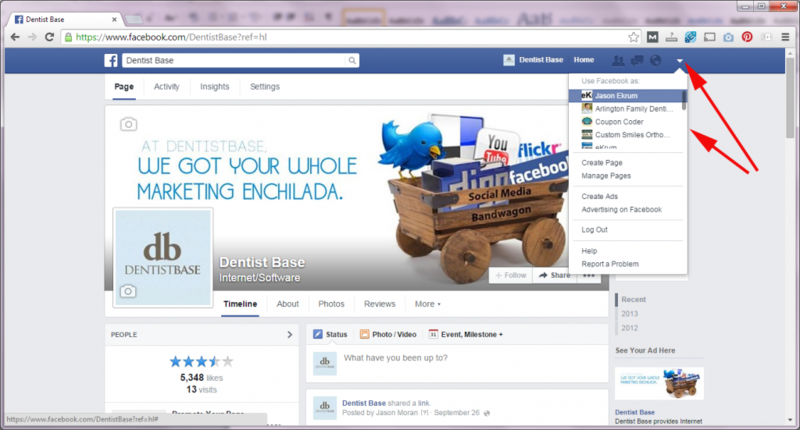 This menu includes many tools and features to administrate your Facebook business page. To see who the users of the business page are, click on the menu item “Page Roles”. 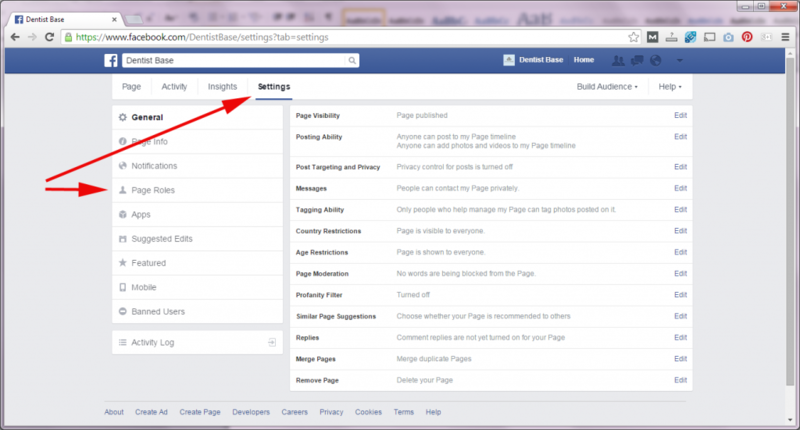 On the Page Roles page, you will see a list of everyone who is a user of your Facebook business page. Below their name you will see a box that states the level of permission they have. There are currently five different levels of access. The most powerful role is Administrator. You shouldn’t provide administrator access to others unless absolutely necessary. You can change a users permissions and role level on this screen by clicking on the down arrow under their name. To remove a user, click on the X to the right of their name. Type the user’s email address in and then click on the drop down box to select the level of permissions you want the new user to have. Once you have added the new user, click on Save on the form to save the changes. 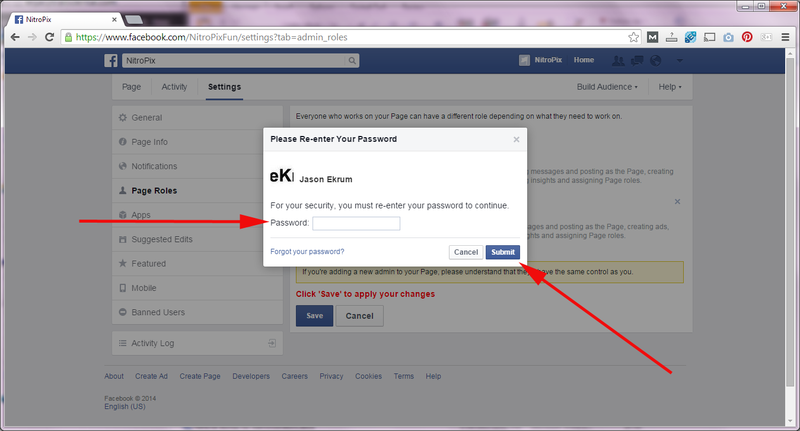 Facebook will prompt you again for your personal password. Once entered, your task is complete! Congratulations, you have entered or edited your Facebook business page users.